The definitive buying guide on what is a marketing cloud, and how to choose the right marketing cloud for you. VentureBeat insight has published what they call “quite likely the most detailed, comprehensive, and data-driven marketing clouds report ever created” and we agree. 1,483 Marketing technologists contributed their insights to it, and it includes market penetration data based on an analysis of marketing tech embedded in tens of millions of websites. The VentureBeat reports defines, more clearly than we have seen anywhere else, what is the definition of a marketing cloud, what are the different types of marketing clouds, and what are some of the key considerations when choosing a marketing cloud. 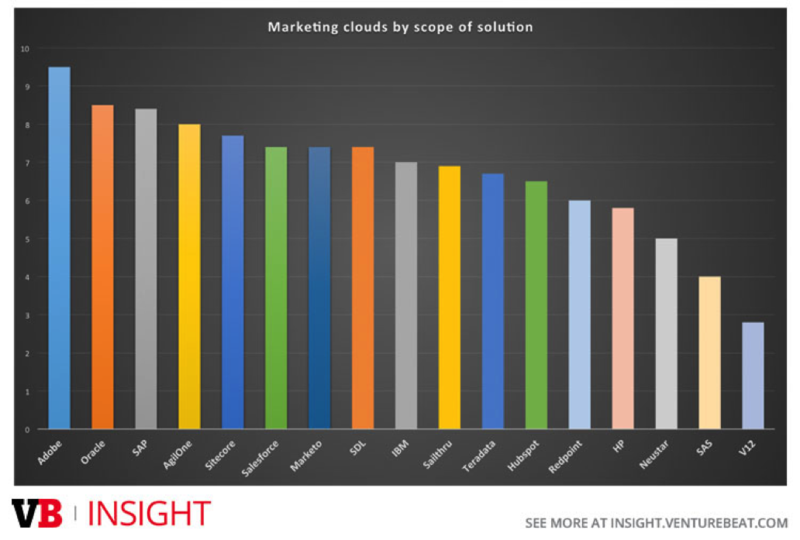 Which marketing cloud is right for you? “proto-clouds” (dare I say “wannabes” or “runner-ups”). ... and more (you will need to buy the report to read it all). “Newcomers like AgilOne, are giving the enterprise players a run for their money”. We recommend that every marketer considering a marketing cloud buy the VentureBeat Report!